Although I was never required to wear a uniform throughout my primary and secondary schooling, nothing fills me with more nostalgia for my childhood than a peter pan collar. First introduced on the fall runways in 2010, peter pan collars have undergone various renovations in order to make this look novel. 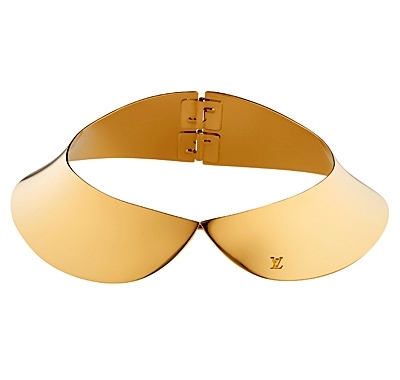 Currently you can see peter pan collars adorned with bold spikes and eye-catching gem embellishments, and even crafted in unique fabrics such as lace and leather. 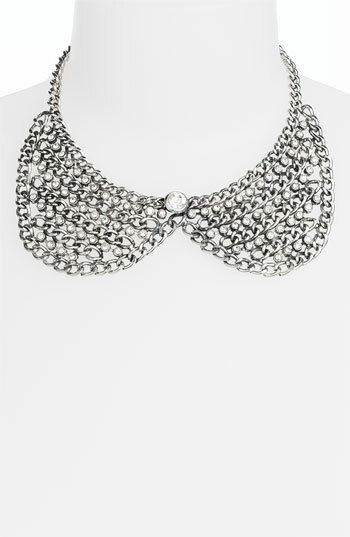 My favorite innovation to the collar is the peter pan collar necklace. 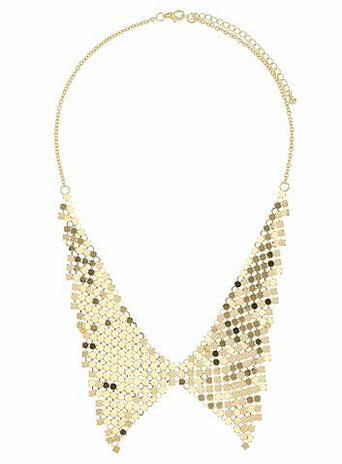 This necklace allows you to put a schoolgirl spin to any outfit. I just recently bought one from Macy’s (unfortunately it’s sold out online), which I am excited to pair with lace shirts, peplum dresses, and juxtapose with a leather tank. What is your opinion of the trend. I’d love to hear.